TW29RN-B Black SATORI Tweeter, Neodymium Dual Compression chamber motor, decoupled face plate, cu caps, superb flat response. 103.8mm diameter faceplate, long life silver lead wires. Low Resonance Frequency for extended range. 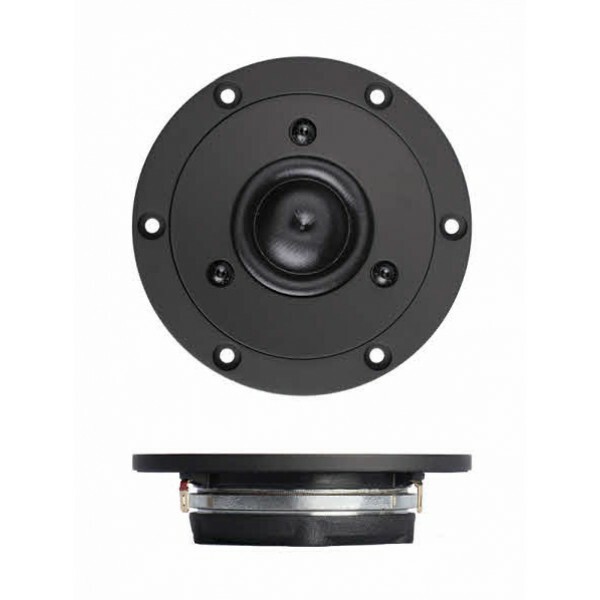 TW29RN-B Black SATORI Tweeter by SB ACOUSTICS, renowned for an extended level response and superb off-axis characteristics. 103.8mm diameter faceplate, long life silver lead wires. Low Resonance Frequency for extended range. Featuring a non-resonant diaphragm design for minimum high frequency break-up, two part aluminum faceplate with integrated mechanical decoupling and dual balanced compression chambers for improved dynamics. Dual copper caps for absolute minimum voice coil inductance and minimum phase shift, Neo magnet saturation controlled motor system with T-shaped pole piece for lower distortion.